Petition for Skeeter in The Muppets... Again! The movie is written and filming now. That ship has sailed. [IMG] Also, Gonzo seems to be back in his Muppets Take Manhattan stunt suit! 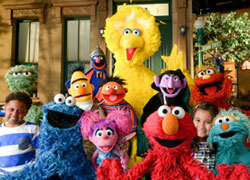 Are there any Muppet products being shown at Toy Fair 2013? Or are we out of luck again this year too? Some of you are fools blinded by your ability to not see anything but the past. Gervais is PERFECT. Is there a new Rowlf plush? 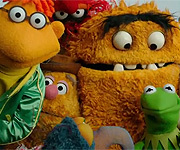 Speculation: Potential Sequel for "The Muppets"